It’s time for another recap of takeaways from the fascinating conversations happening at the Women’s Executive Breakfast events here in Ottawa. 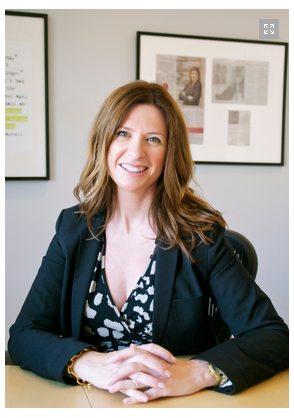 This month, there were a mixture of both familiar and new faces at the Rideau Club, and we were honoured to hear more about “intrapreneurship” from Co-Founder and CEO of Actua, Jennifer Flanagan. Her ideas around this new label, yet gold-standard concept for a growing organization, were relevant and valuable. Actua is a national charitable organization that engages kids across Canada to get involved with science and reaches out specifically to those who would not otherwise be exposed to the possibilities of STEM (science, technology, engineering and math) studies and career opportunities. She’s an impressive individual, and if you’d like to learn more, check out her bio. One of Actua’s great successes, which came from pivoting quickly, was in bringing their programs to Canada’s Arctic. When Actua’s Iqaluit based program could not find local staff, it was going to mean a group of children would not be exposed to the world of STEM. So, they pulled staff from across Canada, and sent them to go to Iqaluit. We should be factoring in failure when building new ideas. Don’t you love that? The way Jennifer describes the correlation, it sounds more than reasonable. After all, how can innovation really happen in an environment where only success is allowed? Talk about pressure that brings no results. Thanks to Jennifer for opening this conversation around pivoting and failure and shared leadership. If you have any stories from your own work, you are welcome to share here or over on Facebook.